Our 2000-Up Twin Cam H-D Softail forward controls include rigid foot & toe pegs and you even get to choose the peg style. 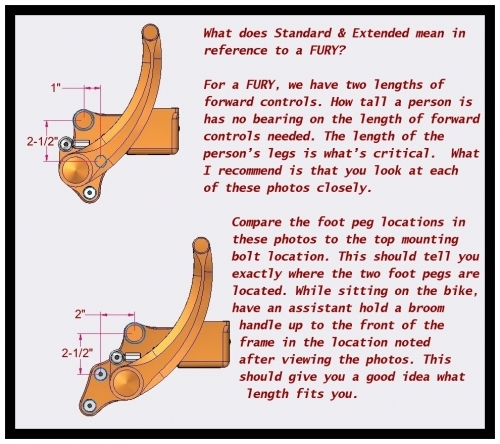 Folding foot pegs are available for a small additional charge. These 2000-Up Twin Cam H-D Softail forward controls use our billet master cylinder. Installation instructions and mounting hardware is included as required. 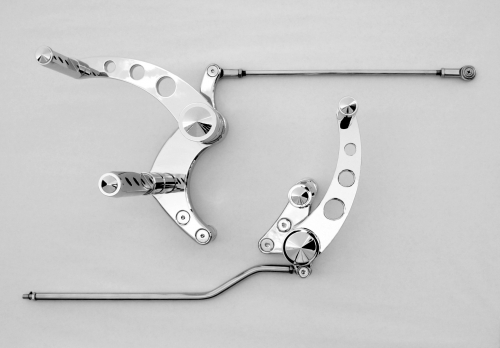 These forward controls are machined from 6061 T-6 Billet Aluminum and brilliantly Chrome plated. However they are also available in Polished billet aluminum or Black Anodized finishes.